Crop Protection Technology Research Group, works in collaboration with ENAMA (National Board for Agricultural Mechanization) for organizing the certification of the performance of following spraying equipment and their components: field crop sprayers, sprayer for bush and tree crops, fixed and semi-mobile sprayers (EN ISO 16119), knapsack sprayers (EN ISO 19932), knapsack mistblowers (ISO 10988, will be replaced soon by new EN ISO 28139), nozzles (ISO 5682-1), volumetric pumps (ISO 12809), induction hoppers (ISO 21278), flow rate regulators (ISO 5682-3), horizontal test bench for boom sprayers (EN ISO 16122-2) ecc. 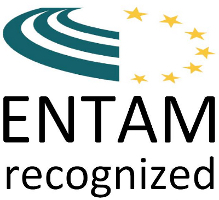 ENAMA certification is recognized in Europe by ENTAM circuit. ENTAM is the network constituted by the official testing stations in those European countries which have signed an agreement on shared activities. These activities have, as their ultimate aim, the implementation of standardized tests of the performance, safety and environmental aspects of agricultural machinery and tools. At the manufacturers request, tests are carried out by specialist Testing Stations and are re based on national, European or international standards, or shared agreements (or methodologies), and can provide the manufacturer with useful information on ways in which to improve its machinery. Certification of components and equipment for which no EN/ISO Standard methods are actually available (hydraulic agitators, filters, level indicators, dusters, weed wipers, vertical test benches for vertical profile of sprayers for tree crops determination, etc. ), is carried out according to specific Enama Protocols and it is recognized only in Italy. For more informations about the numbers of certified sprayers, see the specific page of the ENAMA website. Crop Protection Technology Research Group organize also the “environmental” certification of the sprayers: EOS certification and drift reduction class certification (ISO 22401).